How confident are you that you could recognise and rapidly respond to changes in your patient’s condition? 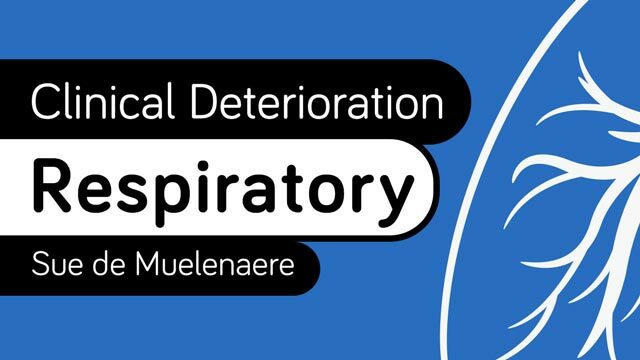 Start this Course now to gain an essential update on how to identify, assess and prevent respiratory deterioration. What is the difference between ventilation and oxygenation? How do you recognise a pneumothorax? When is non-invasive ventilation required? There is a significant potential for patients across any clinical setting to rapidly become unwell. The ability to recognise and interpret clinical cues and implement timely appropriate, evidence-based interventions, has a significant positive impact on patient outcomes. Education is essential if health professionals are to maintain knowledge and confidence of how to identify, assess and prevent clinical deterioration. The purpose of this Course is to provide health professionals with education relating to respiratory deterioration in order to assist in the prevention of disability and premature death. Relate pathophysiology principles that occur in acutely ill patients to prioritise assessment in a patient who is deteriorating. Apply a range of appropriate and timely evidence-based interventions for a person who is acutely ill and whose condition is deteriorating. Recognise and respond to early signs of respiratory failure by implementing evidence-based interventions, thereby improving patient outcomes. Registered nurses and other health professionals will gain confidence from undertaking this Course, given the prevalence of and harm associated with respiratory deterioration.